Technogel is a proprietary polyurethane material originally designed for medical applications. Giro uses Technogel for the padding in our premium gloves because of its superior pressure distribution characteristics. When pressed between the glove and handlebar, Technogel molds itself to the hand by deforming along all three axes. Normal padding materials tend to deform only along one axis which causes pressure to accumulate in the direct contact zones. Superior pressure distribution – up to 300% better than standard gel, for enhanced comfort and protection from numbness over long periods of time. Excellent impact absorption – up to 30% better than standard gel, for protection from shocks and vibrations. Long-lasting performance - it does not harden or break down over time, so the glove stays supple and comfortable mile after mile. Giro's unique 3-piece palm construction tailors the fit of our gloves to reduce bunching, and allows your hands to move naturally for enhanced control that doesn’t compromise bar feel. By designing each part of the palm to mimic a hand’s features and articulation, Giro gloves increase grip and provide a superior level of protection for the entire hand. 1 - THUMB The Super Fit Engineered thumb panel is essential to providing a snug fit with your hand while also allowing freedom of movement and enhanced grip necessary for maximum control and bar feel. 2 - PALM The Super Fit Engineered palm panel is optimized to provide a snug, comfortable fit without bunching when you grip the handlebar. By carefully sizing the palm to match the natural curve of the hand, our gloves remain supple while providing a layer of protection. 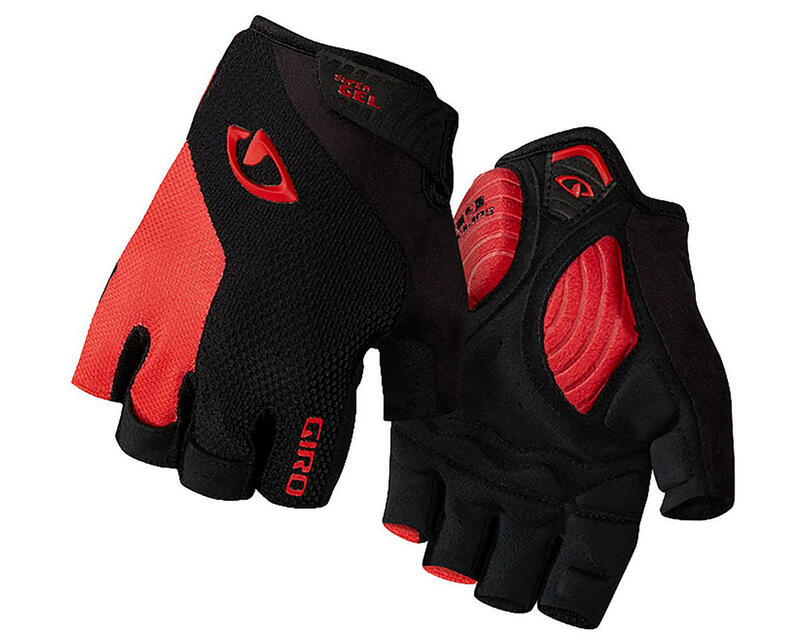 3 – BODY The Super Fit Engineered body of a Giro glove is designed to support your hand’s natural movement, while providing a platform for padding and protection where you need it most. By optimizing the thickness and placement of padding with integrated Flex Zones, Giro gloves offer a more natural movement of fingers and joints.